HELLO once again! I am back at it again with my third year of participating in and fundraising for UCLA UniCamp. 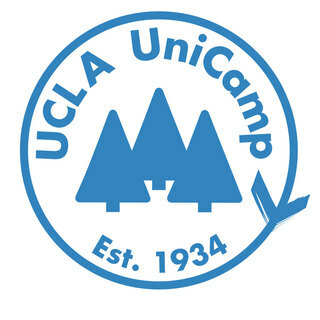 UniCamp is the official student charity of UCLA and we work together to provide a week of camp to children from underserved areas of Los Angeles. Thanks to all my amazing friends and family, I've previously raised over $1700 for UniCamp! Over the past three years, my involvement in UniCamp has changed my life. I have learned from my fellow counselors and previous leadership, who never cease to inspire me with their passion and humility. I’ve learned about my capability to become a leader on campus. And I’ve learned from the four groups of kids I’ve gotten to work with these past years in every single moment with them, from the nights spent up late braiding each other’s hair and stargazing to teaching a group of 13-year-old girls how to work together while sailing a boat. Through UniCamp, I’ve grown as a person, a friend, and a role model. Every single person I’ve met through UniCamp is entirely dedicated to our slogan: Sing Songs. Play Games. Change Lives. This is why I come back to UniCamp every year and why I’m already counting down the days until summer 2019 when I’ll be back again. Happy birthday Wookie! I'm so proud of you. You're going to do amazing, and I can't wait for your week of camp! MWL!! happy birthday my love/doppelgänger!! so proud of all the hard work you put into corps and excited to see all the amazing things you're gonna do as lship <3 best of luck & i miss you! !